I made these shots for a party over the weekend. They’re super easy and quite the crowd pleaser. Lime juice, not fresh though,because, pulp. I like this brand. 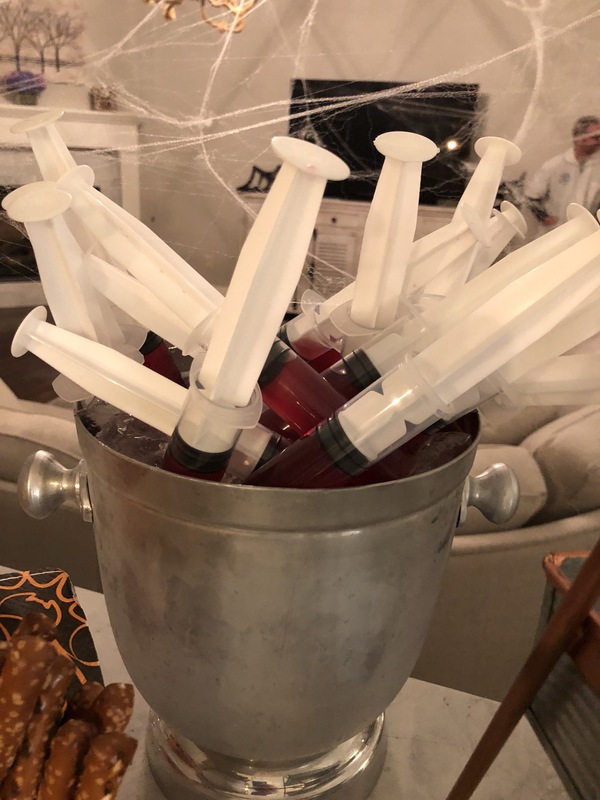 Syringe Shots, I got mine at Walmart, but you can also find them here. I made mine in a pitcher, as if I was making one big drink. Taste it along the way to make sure it isn’t too sweet or too strong. For mine, I ended up using a fifth of Tito’s Vodka, about 3/4 of a jug cherry cranberry juice and lots of squirts of lime juice. Just do it to taste and it will be perfect. You know what you like. Next, I filled each syringe to the line and placed them in a gallon ziplock to lay flat in the freezer. I let them freeze for about an hour, just to be ice cold. Finally, I placed them in the ice bucket for easy access. We had 18 total and with a quick wash and rinse could refill the shots as we ran low.